Has Brexit confusion given you moving home jitters – Extend Instead? For sure as the Brexit confusion mounts, the only thing that’s clear right now is that nothing is clear, and we might all be justified in having no idea whether now is the right time to buy, invest remortgage or build a home extension instead. https://mintbuilders.co.uk/wp-content/uploads/2016/06/mint-logo_335x94_v2-300x84.png 0 0 Mint Builders https://mintbuilders.co.uk/wp-content/uploads/2016/06/mint-logo_335x94_v2-300x84.png Mint Builders2019-02-17 14:32:502019-02-17 14:32:50Has Brexit confusion given you moving home jitters - Extend Instead? 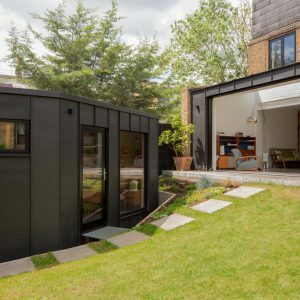 Judging is now getting underway for one of the year’s most admired and well-established competitive home extension and renovation ‘events’ – the Architects Journal Small Projects Awards. As AJ report the Awards now in its 24th year, celebrate projects with a contract value of £250,000 and under. This much-loved fixture of the architectural calendar has been sponsored for the eighth year by the Marley Company. AJ architecture editor Rob Wilson says: ’The AJ Small Projects issue is personally one of my favourite issues of the year. It’s a great opportunity to publish and give recognition to schemes on more modest budgets. First launched in 1996, the aim of AJ Small Projects is to give much-deserved recognition to schemes on a more modest budget. From home extensions to workspaces, restaurants to shop fit-outs, pavilions to small houses, these are projects that may not make the headlines but provide a real indication of the depth of design talent and expertise across the UK today. 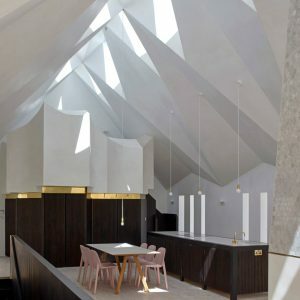 The winner of the 2018 award was the Wrong House by Matheson Whiteley, ( above) a ‘confidently understated’ wedge-shaped extension to a semi-detached Victorian townhouse in Hackney, east London, which cost just £93,000 to build. The 2017 winners were Kate Darby & David Connor, Croft Lodge Studio, Leominster (£160,000) and the year before that there were joint winners : Doma Architects, Contemporary lean-to, Harrogate (£101,800); Charlie Redman, The Welcoming Shelter, King’s Cross (£22,000) Hugh Strange Architects, Avon Wildlife Trust Cabin (£32,000).Other previous winners include Hawkins\Brown (2000), Simon Conder Associates (2002), Mole Architects (2008), Haworth Tompkins (2010) and Carmody Groarke (2015). All projects which are entered for the Award are featured in the AJ Buildings Library, and the 20 shortlisted projects will be published in the AJ Small Projects issue on 28 March 2019. This will be followed by a special exhibition of all the shortlisted projects and the announcement of the winner of the AJ Small Projects Award 2019 in April. The AJ supports the architecture industry on a daily basis with in-depth news analysis,insight into issues that are affecting the industry, comprehensive building studies withtechnical details and drawings, client profiles, competition updates as well as letting you know who’s won what and why. Home extensions are in demand – check out costs potential with an expert …. 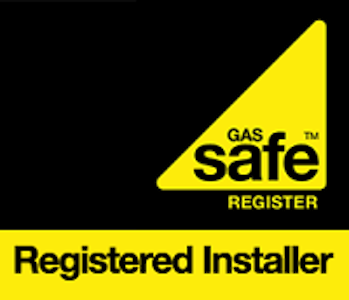 House extensions are in demand – check out costs potential with an expert …. We at Mint are pleased to report, that here in Cheltenham and The Cotswolds this early New Year, home extension and renovation enquiries has been markedly on the up. We are working a key project currently but the enquiries for potential extension work later on in the Spring is good news indeed. With BREXIT – perhaps a home extension – not a home move looks best choice ? The Brexit D Day is edging closer …and certain 2019 movers, racked with uncertainty because of the Brexit affect on house prices, are it seems opting to pass on a move right now and consider going for a home extension instead. Wherever you stand on Brexit, there’s no denying that the UK’s impending exit from the EU is causing property market jitters. This has led to enquiries from families who want us to investigate and advise on the home extension potential of their property and in doing so, the word BREXIT often comes into the conversation as to why their enquiry is being made. It’s all uncertainty …uncertainty …uncertainty…right now for sure. In its most recent monthly survey, the RICS has suggested that there was an unprecedented dominance in the property commentary of surveyors around the one single key issue of Brexit. The CBI, which represents UK businesses, has for their part said that UK companies will now start stepping up their preparations for a no-deal Brexit and Bank of England governor, Mark Carney has warned that a no-deal Brexit could send house prices tumbling by a third. This whole situation makes moving a less and less desirable choice as BREXIT hurtles towards some kind of confused unsatisfactory climax. Uncertainty created by the Brexit process is causing buyers and sellers to sit tight in increasing numbers say ‘Which’. Read more here, https://www.which.co.uk/news/2019/01/what-will-brexit-mean-for-house-prices/ ? The housing market may somehow keep moving on, but it will do so somewhat erratically and slowly. Potential buyers might struggle to get the new mortgage they need, owing to the strict lending criteria after BREXIT. More potential movers, if they can, as the confusion builds may for the time being at least switch if they can to renovation or a home extension instead of relocating at this time. Yes, an extension will cost money for sure, but you will know the price you will pay for the extension, which is not going to be the case if you opt to move and try and sell your home. A home extension or renovation, of course, can add real value to your property. You may be able to very much ‘cash in’ this extra value most effectively in a year or two. Extend for now, and at least you have saved your moving expenses AND have use of the extra space you need. For sure this does the lesser of two evils in these testing BREXIT times and the safer approach to go for if you possibly can. To end on… the talk out there is that this kind of situation may last a while, and most commentators in the know are predicting relatively little change in house prices in 2019. They are set to remain somewhat paused and stagnant’… and that’s BREXIT effect it seems! Mint can help you get the extension you want most for your home to help beat the Brexit menace. Refurbishment, improvement and extension – Mint offers a full development and finishing service to add value to your home and we’ll help with any questions or concerns you have. https://mintbuilders.co.uk/wp-content/uploads/2016/06/mint-logo_335x94_v2-300x84.png 0 0 Mint Builders https://mintbuilders.co.uk/wp-content/uploads/2016/06/mint-logo_335x94_v2-300x84.png Mint Builders2019-02-05 10:11:032019-02-05 10:14:03With BREXIT - perhaps a home extension - not a home move looks best choice ? 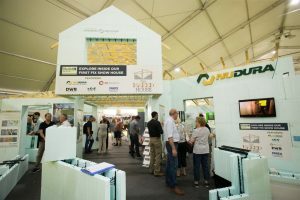 Here’s further news from us at Mint Builders about some more exciting Show events this year which can help guide you with your 2019 up and coming home renovation or extension plans. Home extension projects are ‘winners’ in so many ways! 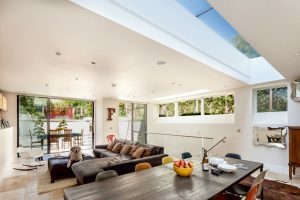 A few days ago on this we highlighted a key awards to find this year’s the best home extensions in and around London. 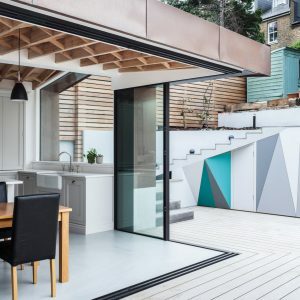 The Don’t Move – Improve awards , organised by New London Architecture (NLA) have achieved considerable impact. This has been even more so of late, as demand for home extensions is on the up. https://mintbuilders.co.uk/wp-content/uploads/2016/06/mint-logo_335x94_v2-300x84.png 0 0 Mint Builders https://mintbuilders.co.uk/wp-content/uploads/2016/06/mint-logo_335x94_v2-300x84.png Mint Builders2019-01-25 13:07:282019-01-25 13:07:28Home extension projects are 'winners' in so many ways! We, at Mint Builders are looking forward to a successful busy year or exciting home extension, renovation and refurbishment projects. We were engaged in Cheltenham and the Cotswolds on an exciting array of projects in 2018…. and we are set for me of the same it seems – good news! 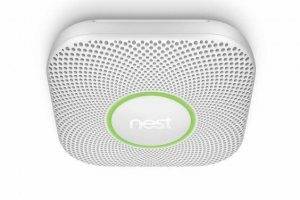 The short-list is impressive indeed and so ingenious, attractive and cost effective. 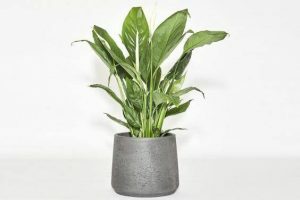 If you are looking to extend in Cheltenham and the Cotswolds for 2019, you’ll spot dorm great ideas to stimulate your ‘grey matter’ planning. 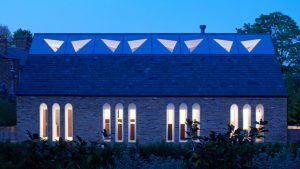 The list includes a loft library, a converted chapel and a Japanese-inspired flat. 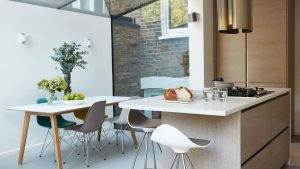 There are other stylish projects in the running too including a self-built extension to a dairy cottage, a revamped water tower and a metal-clad extension that doubles the size of a 1980s terrace. A woodworker’s studio, an extension under a driveway and a zero-waste renovation also made this year’s short-list. 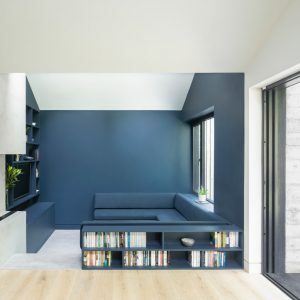 Dezeen is media partner for Don’t Move, Improve! which is now in its ninth year. The contest was open to any house extension or improvement project completed in the last two years, in any one of London’s 33 boroughs. This year’s judging panel, chaired by NLA founder Peter Murray, consisted of Dezeen editor Amy Frearson, architect Carl Turner, Ash Sakula co-founder Cany Ash, journalist Philippa Stockley, and Jo McCafferty of Levitt Bernstein. The judges said that the standard of entries was higher than ever this year. Trends they identified included use of natural materials, introduction of colour, and creatively designed ceilings and roofs. 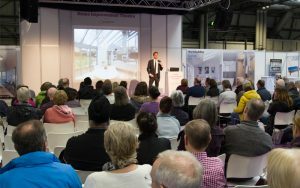 This year’s winners will be revealed at a reception at The Building Centre in London on 22 January 2019. An exhibition of long listed designs will be unveiled at the same time. Previous winners of the prize include Sun Rain Rooms, a revamped Georgian town-house with a patio that transforms into a reflecting pool, and Sunken Bath Project, a garden room containing a sunken Japanese-style bath. 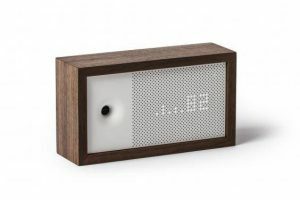 Enjoy our super picture gallery, compliments of dezeen.com below …..Nice!! Extend Instead’ to beat house sales uncertainty! As the Brexit confusion continues, huge uncertainty remains in the air when it comes to the home prices outlook for 2019. Now, there is even more talk than even last year for opting for a home extension or refurbishment, instead of moving house! https://mintbuilders.co.uk/wp-content/uploads/2016/06/mint-logo_335x94_v2-300x84.png 0 0 Mint Builders https://mintbuilders.co.uk/wp-content/uploads/2016/06/mint-logo_335x94_v2-300x84.png Mint Builders2019-01-16 13:07:292019-01-16 13:19:33Extend Instead’ to beat house sales uncertainty! 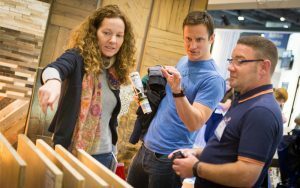 ‘Showing’ off the way to your 2019 home extension or renovation! 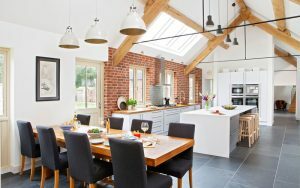 You may recall, not so long ago, on this blog we highlighted the 2019 home extension and renovation Show series, being staged quite close to us here in Cheltenham and The Cotswolds. Check out the full Show schedule for the year ahead below. https://mintbuilders.co.uk/wp-content/uploads/2016/06/mint-logo_335x94_v2-300x84.png 0 0 Mint Builders https://mintbuilders.co.uk/wp-content/uploads/2016/06/mint-logo_335x94_v2-300x84.png Mint Builders2019-01-11 07:54:362019-01-11 07:59:55'Showing' off the way to your 2019 home extension or renovation!